“A down-and-dirty survey of the Surrealist movement written under a pseudonym in 1970 by leading Situationist theorist Raoul Vaneigem. Intended for a high school readership, and dashed off in two weeks, Vaneigem’s sketch bars no holds: disrespectful in the extreme, blistering on Surrealism’s artistic and political aporias, and packed with telling quotations, it also gives respect where respect is due. Locating Surrealism’s “original sin” in its ideological nature, Vaneigem clearly identifies the “radioactive fragment of radicalism” that the movement never managed completely to shed. 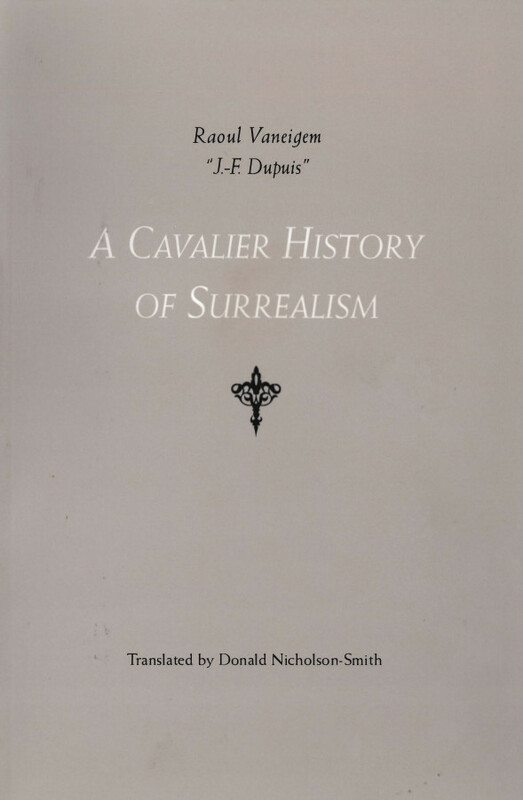 If you want an unequivocal answer to the question—”What was living and what was dead in Surrealism?”—look no further.